So how is the same Social Media Marketing helping the businesses in spreading their brand awareness? The moment we hear or read the word Social Media, the image of Facebook starts flashing out in our mind. Friends, Social Media isn’t restricted to only Facebook, there is a broad horizon of the Social Media platform’s (Twitter, LinkedIn, Google +, Instagram, Pinterest and yes Facebook) possibilities to market your mobile apps and get them acknowledge by the potential audience across the globe. 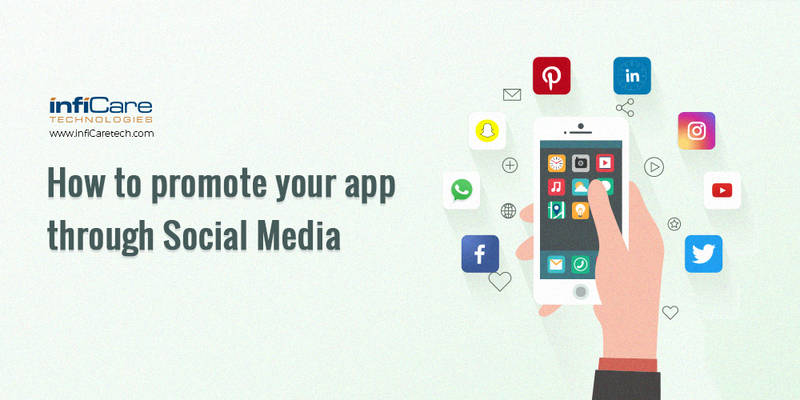 We can simply say, Social Media is really a blessing for those who have a stiff budget and have not many other ways to get the mobile app promoted. Like every strategy has its pros and cons, same is the case with Social Media Marketing. If the marketing is done right, it will take you to the next higher level, if done wrong it can really lead to a failure. In order to avoid any mishap, you need to follow certain dos and don’ts. Let’s explore it more. Continue reading….. Remain Active on Social Media Platforms! We all love to spend time on our favorite Social Media platform, for various reasons like to chat, post daily pictures, post quotes, share our thought process, and etc. etc. Out of other Facebook, Twitter and LinkedIn have proved to be the successful platform to market the mobile app. So before starting with the app marketing, you need to stay active on the necessary channels and have a strong presence and connections on the platforms. Once you start promoting your app you would get a heap of comments, chats, and queries. This way you can leave an impact on the minds of your target audience and see how they respond to your app. Make the best use of Videos! Today, people prefer videos over long satires as it helps them understand the product and services in a visual form. It creates a much alive connection between you and your audience. What you can do it get a video designed that best describes the functionality of your app and how it will benefit them. Now upload the video with a very catchy caption that holds the attention of your audience. Every now and then, we see some or the other celebrity tweeted about certain stuff and it became media hype. Now Twitter is another social media channel, which grabs the attention of users across the world. For your app marketing, tweet using hashtags that are trending and also related to your product or services. Remember, content should be engaging! If your audience doesn’t find your content on Social Media, interesting and crisp enough, then SORRY, they would turn off from your page. Your content about the product should be interesting, informative and a little funky, so all age groups can relate to your mobile app. At infiCare, we have been excelling in mobile app development and with a team of highly –skilled developers, we have created a unique variety of mobile app solution that suits our client’s business needs and requirements. If you have an app idea (iOS or Android app development) and want it to become a success by following the above mentioned Digital Marketing Strategy, then get in touch with our app development and marketing expert to discuss further your concept to bring into reality.